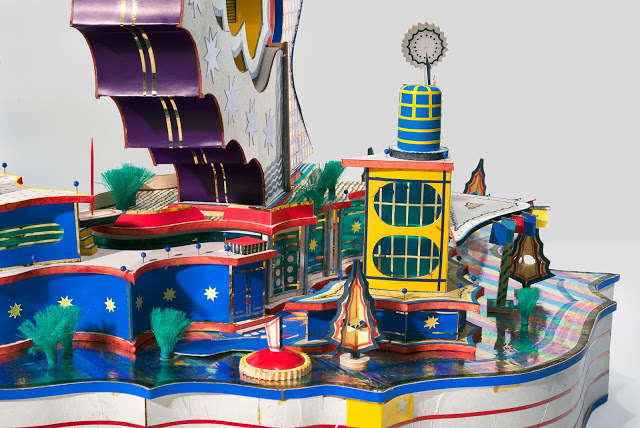 Better late than never: on May 26 MoMA New York will open its first-ever solo show of a Black African Artist, a first full-dress retrospective on the 'extreme maquettes' of the late Congolese sculptor Bodys Isek Kingelez. 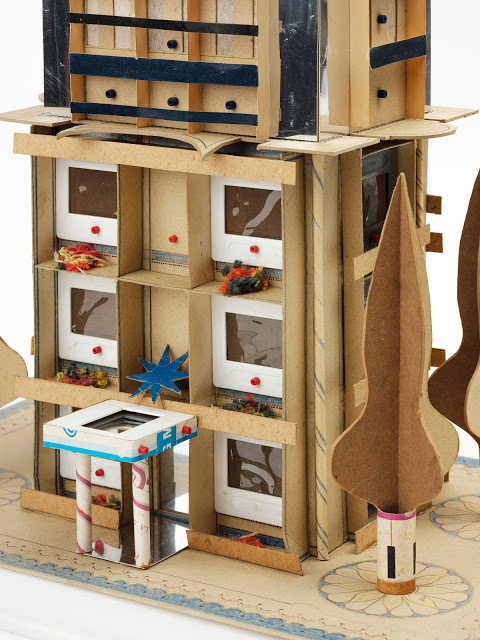 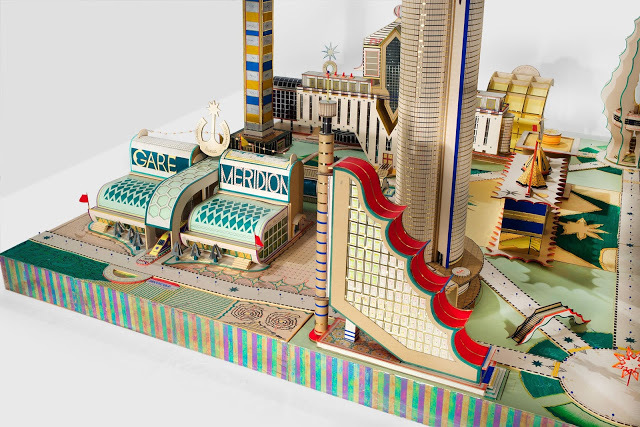 In Europe, Bodys Isek Kingelez (1948–2015) already became an instant sensation when his work was included in the landmark exhibition Magiciens de la Terre at Paris’s Centre Pompidou in 1989. 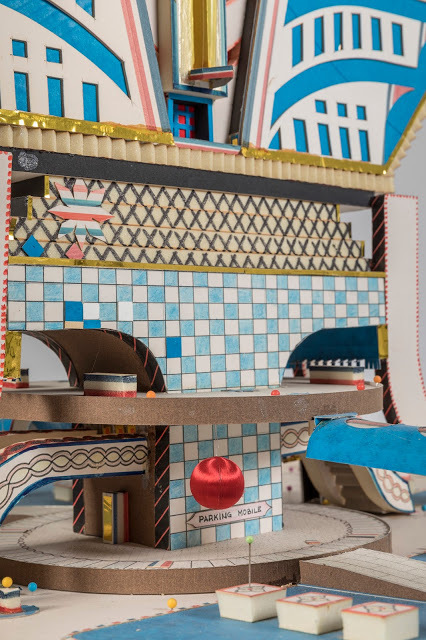 Since then, his work has been in numerous high-profile group exhibitions - he participated in the Johannesburg Biennial in 1997, and in both Documenta XI in Kassel and the São Paulo biennial in 2002, for instance. 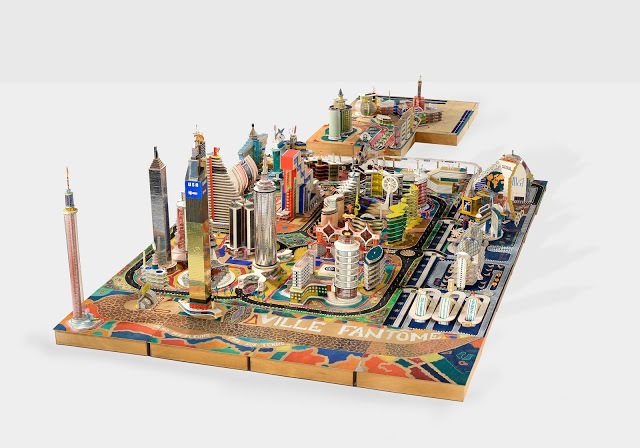 Although he figured in The American Effect at the Whitney Museum of American Art one year later, the breadth of his achievement remained largely under-known in the US. 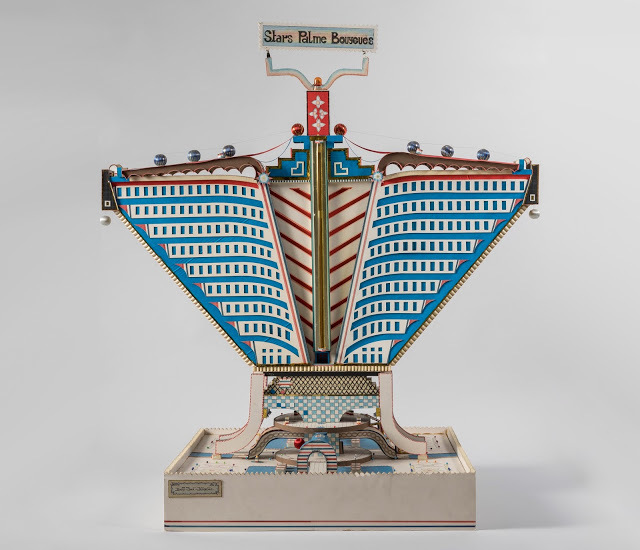 The MoMA exhibition does not only intend to make up for that blind spot, but for the museum's and country's longstanding western-centered politics altogether – be it that it will just be the proverbial drop in the ocean. 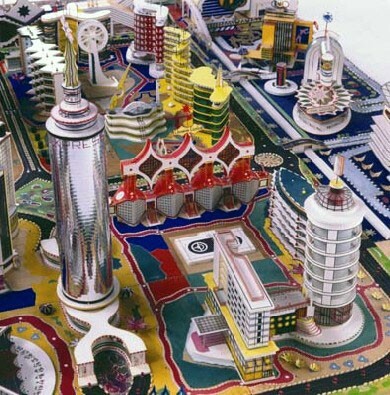 “Without a model, you are nowhere,„ Bodys Isek Kingelez said, explaning the nature of his work, „ A nation that can’t make models is a nation that doesn’t understand things, a nation that doesn’t live.” Born in the village of Kimbembele-Ihunga, Democratic Republic of the Congo (then Zaire), Kingelez moved in 1970 to the city of Kinshasa, the capital of the newly independent country. 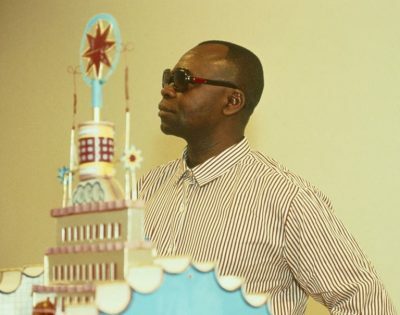 He first started making art in the late 1970s, finding himself compelled to get his hands on “scissors, a Gillette razor, and some glue and paper.” Based on the technical mastery demonstrated by his earliest works, the self-trained artist was hired as a restorer of traditional objects at the Institut des Museés Nationaux du Zaire, a post he held for six years, before concentrating totally on what he preferred to call “extreme maquettes“. 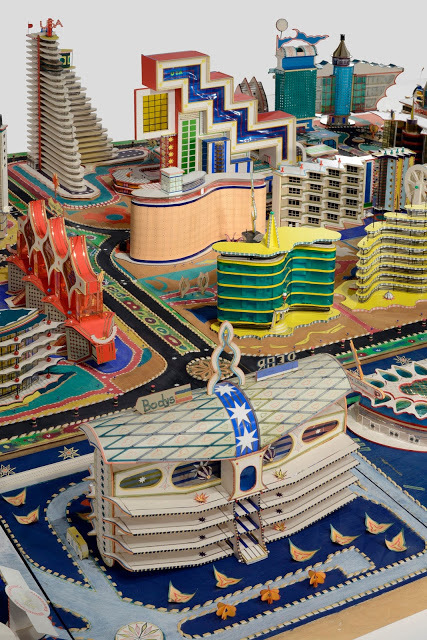 Kingelez made sculptures of imagined buildings and cities that first and foremost reflected his dreams for his country, offering fantastic, utopian models for a society of the future, and a more than optimistic and redemptive alternative to his own experience of his home city - a exponentially growing Kinshasa, where urban planning and infrastructure were totally non-existent. 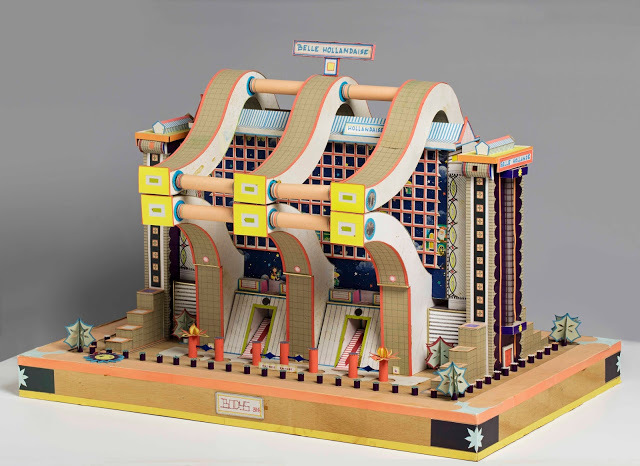 While Kingelez didn’t travel outside of Zaire until 1989, he did not limit his scope to the local situation. 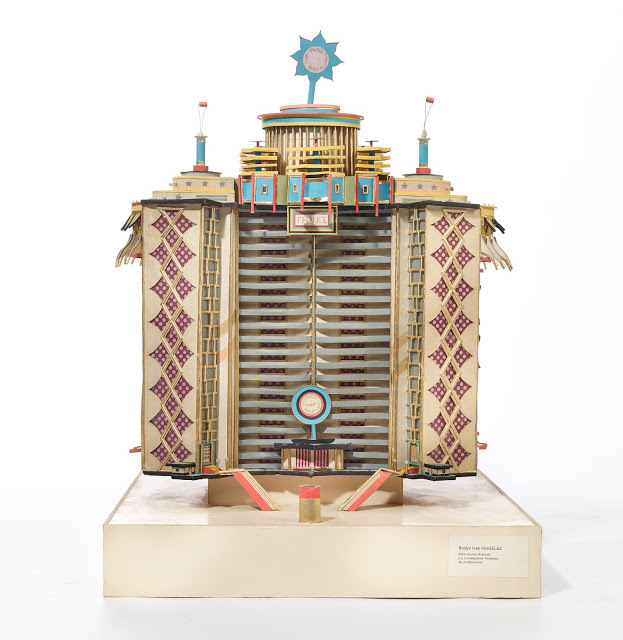 His work was highly attuned to the African continent and the rest of the world. 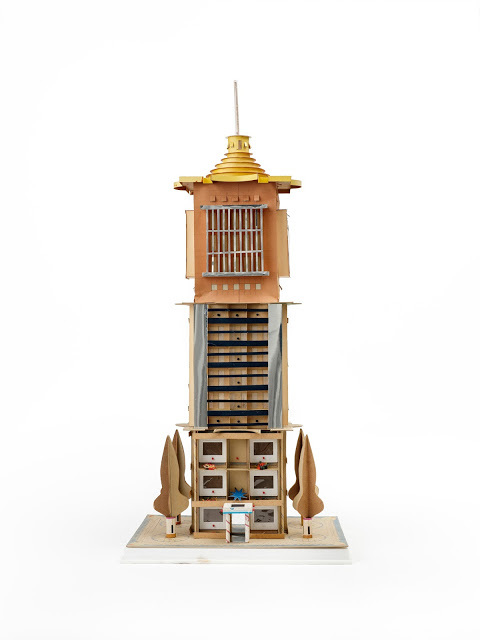 The Scientific Center of SIDA-Hospitalisation (1991), for example, referenced the AIDS crisis; Palais d’Hirochima (1991) addressed the condition of postwar Japan; and U.N.(1995) attested to the organization’s global peacekeeping efforts. 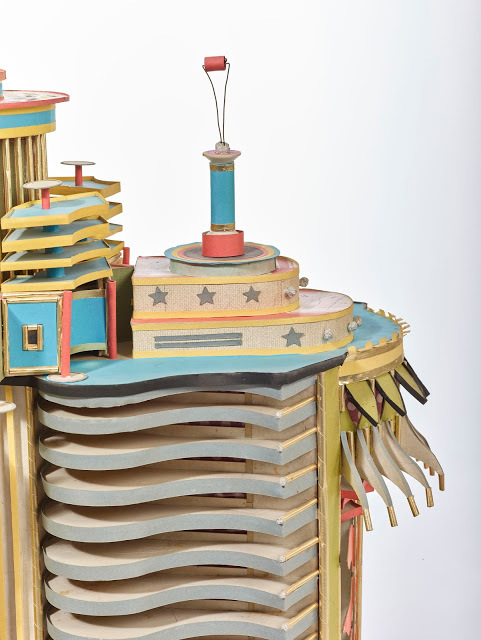 Kingelez also referenced contemporary architecture, including the Grande Arche de la Défense in Paris, whose hollow armature he emulated in Bel Atlas (1989) after seeing the monument the year it was inaugurated. 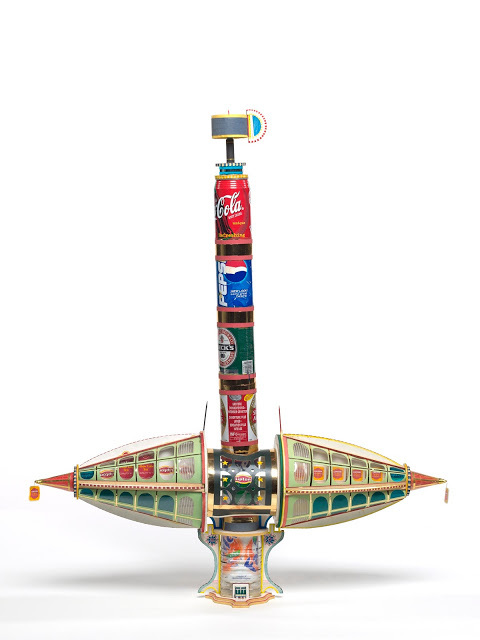 Other structures akin to national pavilions suggest a local specificity—the log cabin–inspired form of Canada Dry (1991), for example, and the nod to Dutch gables in Belle Hollandaise (1991). 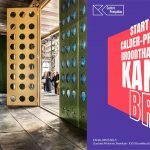 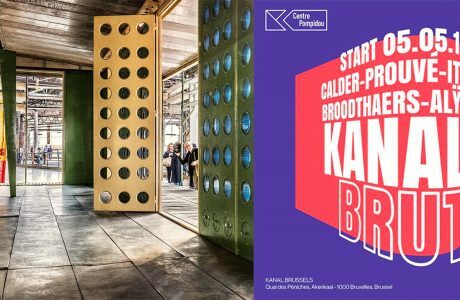 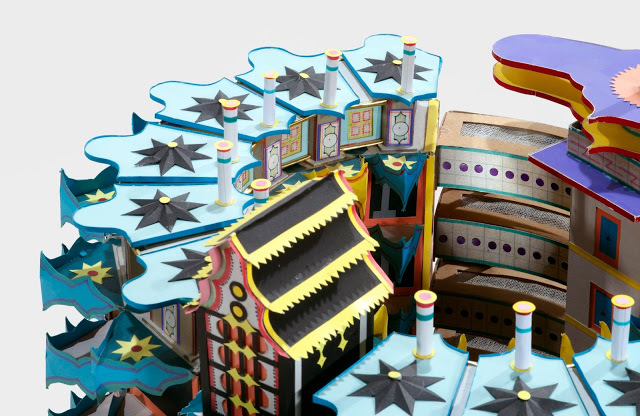 Organized by the Department of Drawings and Prints of The Museum of Modern Art, the exhibition design is produced in collaboration with artist Carsten Höller, while the catalogue will include a text by the celebrated architect David Adjaye. 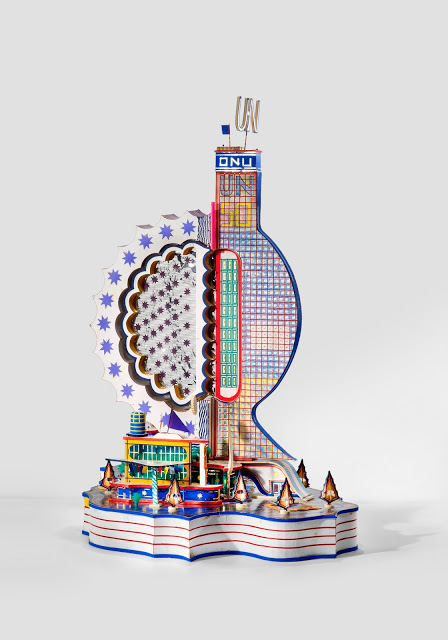 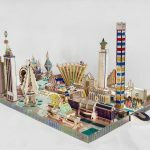 'Bodys Isek Kingelez: City Dreams' will be on view at the Museum of Modern Art, New York, From May 26, 2018 till January 1, 2019.